Fall is a magical time of year. Something about the air turning brisk, the leaves changing, the pumpkins, and fall activities that really comforts the soul. It makes me excited to cook again and inspiration tends to hit around these parts. Maybe it’s because the garden gleaming full of the last ripe vegetables waiting to be chopped, mixed with other delicious ingredients, and eaten by the bushel. Maybe it’s because the house is finally a nice temperature that I want to bake, and cook, and not just eat something that won’t heat up the house. Our house doesn’t have air conditioning, Lord help us. Maybe it’s because the nice weather is ending, and we are anticipating the disappearing sunshine and the days of loom and gloom approaching. Whatever it is, we tend to soak up these last days of beautiful weather. For now, I’m going to soak in these amazing days, the windows are open and the cool fall breeze is coming in. It really doesn’t get much better than that. I get excited for the new spices, particularly pumpkin spice (but really, who doesn’t?). It gives me a nostalgic feeling, and I try to figure out how to use it any way possible. Oatmeal, pumpkin banana bread (recipe coming soon), caramel sauce, this granola, oatmeal lace cookies, marshmallows, popcorn, coffee, smoothies, and of course, pumpkin pie. 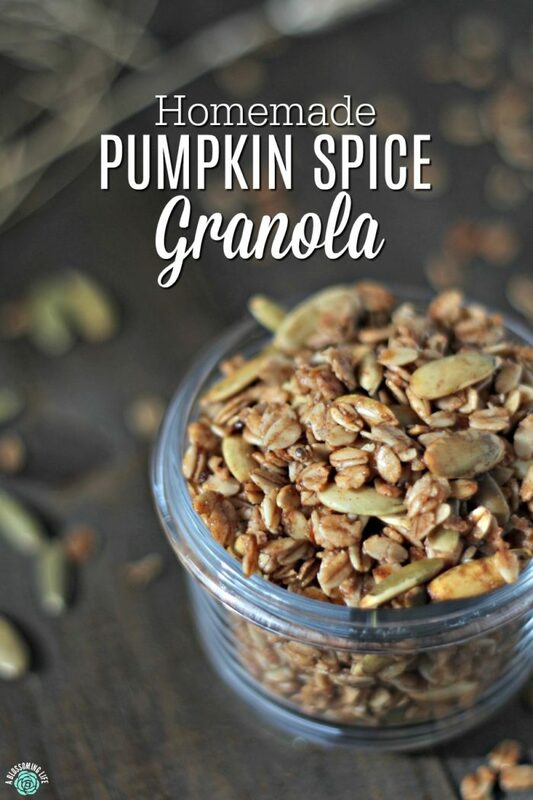 This pumpkin spice granola is a naturally sweetened and salty snack that is a healthy and crunchy way to curb your sweet tooth. 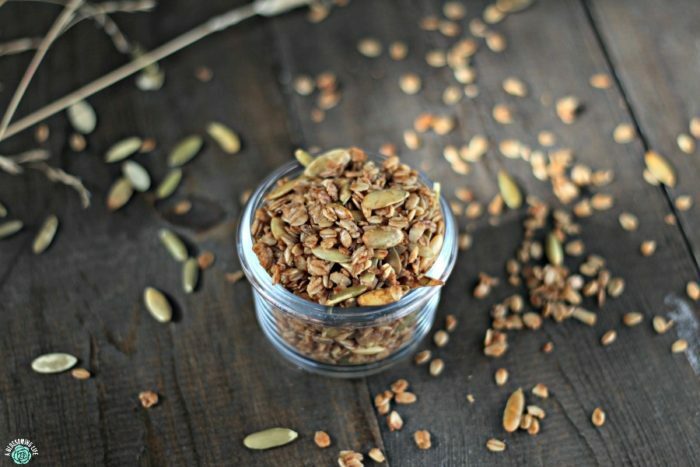 Plus, it includes pumpkin seeds, which are a great source of magnesium, zinc, and omega 3s. It works beautifully with milk, yogurt, on top of ice cream, or by the handful. Now, if you want to get totally insane, you could totally top this with some of this delicious homemade caramel sauce. You can also change it up and add in some chocolate chips (after it has cooled), shredded coconut, or other nuts and seeds. 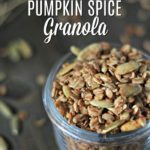 This pumpkin spice granola is a naturally sweetened and salty snack that is a healthy and crunchy way to curb your sweet tooth. In a small bowl, whisk together wet ingredients. Combine wet & dry ingredients together. Spread evenly onto a parchment lined baking sheet. Bake about 30 minutes, stirring halfway through. Let cool & store in an airtight container. 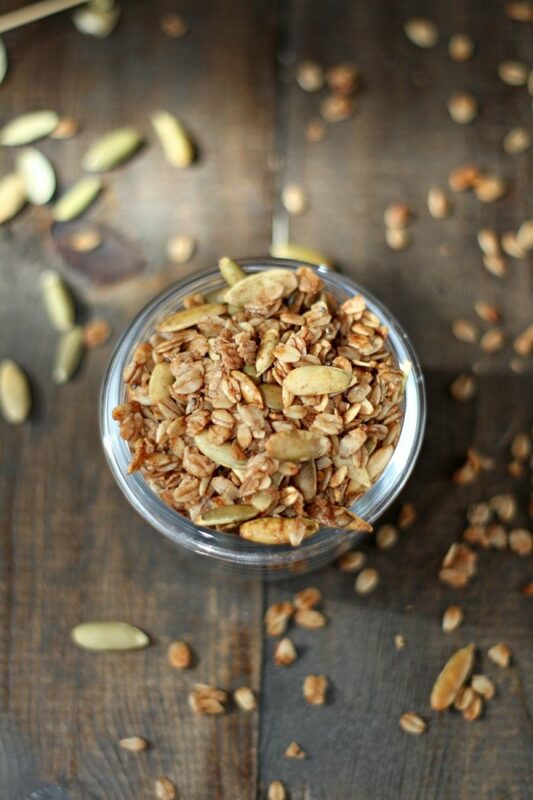 You can add other nuts, seeds, and dried fruit. Dried apples would be awesome in this (I would add them after the granola has baked). Do y’all love pumpkin spice and all things fall as much as I do? This post contains affiliate links. 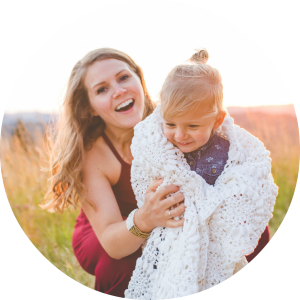 Affiliate links help support A Blossoming Life at no extra cost to you. We only promote products we would use ourselves.